by Brianna Crandall — July 11, 2016 — Excel Dryer, manufacturer of the high-speed, energy-efficient XLERATOR Hand Dryer, showcased its new expanded and enhanced product line at the 2016 BOMA International Conference and Expo in Washington, DC, the last week of June. The Building Owners and Managers Association (BOMA) International represents professionals within all types of commercial property, and BOMA members own or manage a total of 10.4 billion square feet of U.S. office space. Excel Dryer manufactures the only Made In USA Certified hand dryers featuring the high-speed, energy-efficient XLERATOR hand dryer, which is now considered the industry standard, says the company. 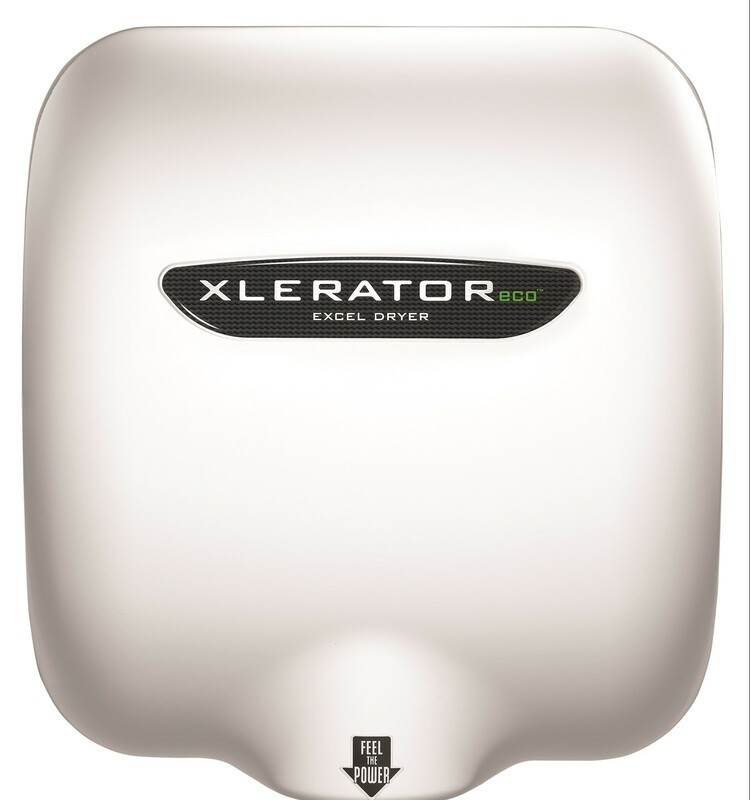 The XLERATOR Hand Dryer product line has been expanded to include the XLERATOReco Hand Dryer. XLERATOReco dries hands fast using only 500 watts, making it environmentally friendly. Multiple XLERATOReco Hand Dryers can be installed on one circuit, enhancing the versatility of the hand dryer line. The XLERATOReco Hand Dryer dries hands fast using only 500 watts, making it environmentally friendly, and multiple XLERATOReco Hand Dryers can be installed on one circuit, enhancing versatility. 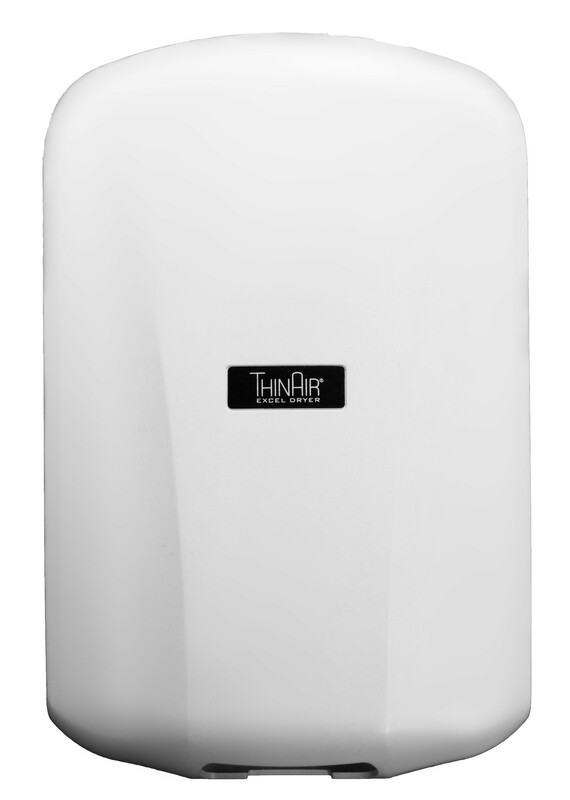 Excel Dryer has also introduced the new ThinAir Hand Dryer, a high-efficiency model that is surface mounted and ADA-compliant. All high-efficiency hand dryer models now feature new enhanced standard features including adjustable controls for sound, speed and heat, multi-voltage options, and an externally visible LED light, enabling building owners and facilities managers to streamline maintenance. Multi-voltage options are available in 110V-120V and 208V-277V volts in 50 or 60 hertz, accommodating electrical needs for retrofitting buildings and new construction alike. Excel Dryer’s ThinAir Hand Dryer is a high-efficiency model that is surface mounted and ADA-compliant. Multi-voltage options are available in 110V-120V and 208V-277V volts in 50 or 60 hertz, accommodating electrical needs for retrofitting buildings and new construction alike. XLERATOR and XLERATOReco have additional options that include a HEPA Filtration System and a noise reduction nozzle that significantly reduces air deflection and the sound level. For example, the U.S. Department of Agriculture (USDA) retrofitted its DC-based complex with XLERATOR Hand Dryers that eliminate 12 tons of paper towel waste annually, reducing environmental impact and saving the facility $30,000 a year in dumpster fees alone, says Excel Dryer. For more information, visit the Excel Dryer Web site and see more FM-specific information on the company’s FMLink ad. See how a high-capacity bath tissue dispenser and a hand towel system can reduce restroom waste and bring down maintenance costs April 25, 2018 In "Products and Services » Safety and Health"
Looking for easily serviceable sinks for a high-traffic environment? Check out Sloan’s new solid-surface vandal-resistant models June 15, 2018 In "Products and Services » Restroom Equipment and Supplies"
You'll be quite surprised when you see the US and Canadian winners of the Cintas Best Restroom Contest November 5, 2018 In "Developments » Industry Awards"